Researchers are working with the Australian avocado industry to safeguard one of the nation’s favourite fruits for years to come. 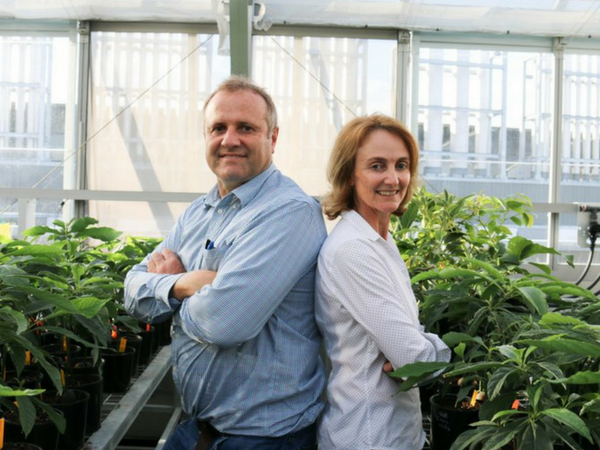 Funded by Hort Innovation, the work targets both existing and emerging avocado disease threats. The project research is being delivered by the University of Queensland State-Government-supported research institute, the Queensland Alliance for Agriculture and Food Innovation (QAAFI). According to Hort Innovation chief executive, John Lloyd, Australian avocados have never been more popular with domestic consumption tripling over the past 20 years from 30,000 tonnes to 90,000 tonnes. QAAFI horticultural scientist Dr Liz Dann said the orchard disease management component she is leading is about improving yields and fruit quality and building capacity to deal with biosecurity issues. As part of the project, Dr Dann will work with industry to help prevent the spread of any avocado disease outbreaks in nurseries and orchards around Australia. While Dr Dann’s focus is the management of existing diseases of avocado orchards such as Phytophthora Root Rot, her colleague, Dr Andrew Geering’s focus is on developing diagnostic tests to protect the industry against new threats. “Sometimes the biosecurity threats are well understood but others seem to pop out of the blue,” Dr Geering said. “A good example of a pest that was not previously on anyone’s radar is the fungal disease Laurel wilt, which is spread by the tiny Redbay ambrosia beetle and is now decimating the avocado industry in Florida. “As soon as the beetle bores into the trunk of an avocado tree and introduces the fungus, the whole tree just collapses within a month. Australia produces around 66,000 tonnes of avocados annually, with a wholesale value of $534 million. Around 60 per cent of Australian households purchase avocados, buying an average of nearly half a kilo per shopping trip. Avocado production occurs mainly in Queensland and Northern New South Wales during the winter and in Western Australia during the summer.